Personal and dependent exemptions both reduce your taxable income. 1. How Much Do You Get for Claiming a Dependent When Filing Tax Returns? 2. Can You Take an Exemption for a Non-Relative? 3. Does Claiming Your Parent as a Dependent Count Towards the Earned Income Credit? Personal exemptions and dependent exemptions both reduce your taxable income. As of 2011, each personal and dependent exemption reduced taxable income by $3,700. Although both types of exemption are worth the same dollar amount, the Internal Revenue Service applies different rules to each type. Filers using form 1040EZ can only take personal exemptions, but those using Form 1040 or 1040A can claim both personal and dependent exemptions. You are allowed one personal exemption for yourself and one for your spouse if you file jointly. Your spouse is never your dependent. But if you or your spouse is claimed as a dependent by another taxpayer, you lose that personal exemption. No one other than you and your spouse qualifies for a a personal exemption on your tax return. IRS rules classify all other exemptions as dependent exemptions. If you are married filing separately, you don’t get a personal exemption for your spouse. You get only your own personal exemption. Likewise, spouse can claim only one personal exemption on his separate return. If your spouse died during the year and you didn’t remarry, you can claim a personal exemption for him for the year in which he died. If you were divorced during the year, you cannot claim an exemption for your former spouse. A dependent exemption applies to your children and other qualifying relatives whom you support. By IRS definition, you can’t claim a personal exemption for children or other relatives. Unlike personal exemptions, which are limited to a maximum of two, there is no limit on the number of dependent exemptions you can claim. If you claim someone as your dependent, however, that person can’t claim a personal exemption on her own tax return, nor can anyone else claim her as a dependent. With dependent exemptions, the persons you claim must meet qualification tests. For a personal exemption, all you and your spouse need is a Social Security number. To claim exemptions for your dependents, you need their Social Security numbers, but they must also qualify on certain bases, such as their relationship to you, where they reside, who provides their financial support, and their age. Children who were born, were adopted or died during the tax year count as dependents for the entire year. What Relative Can Be Claimed As a Dependent for Your Tax Return? How Is the Dependent Exemption Calculated? 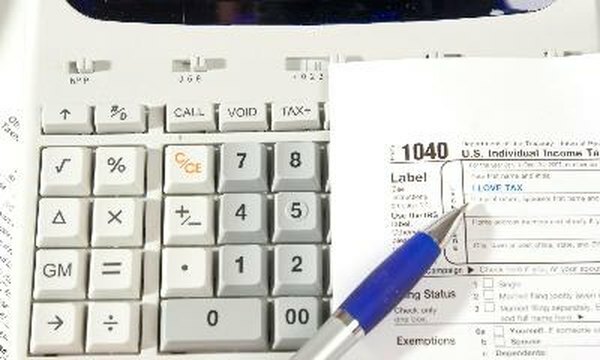 What Does Exemption Mean on the 1040 Tax Form?